Are you in the process of creating your dream prefab home? If so, FYI and Curbed would love to hear all about it. FYI producers are searching for individuals, families and couples who would love to have their home featured on a national TV show. Are you going Prefab? Do you live in southern California? If so, we want you for a new TV show! 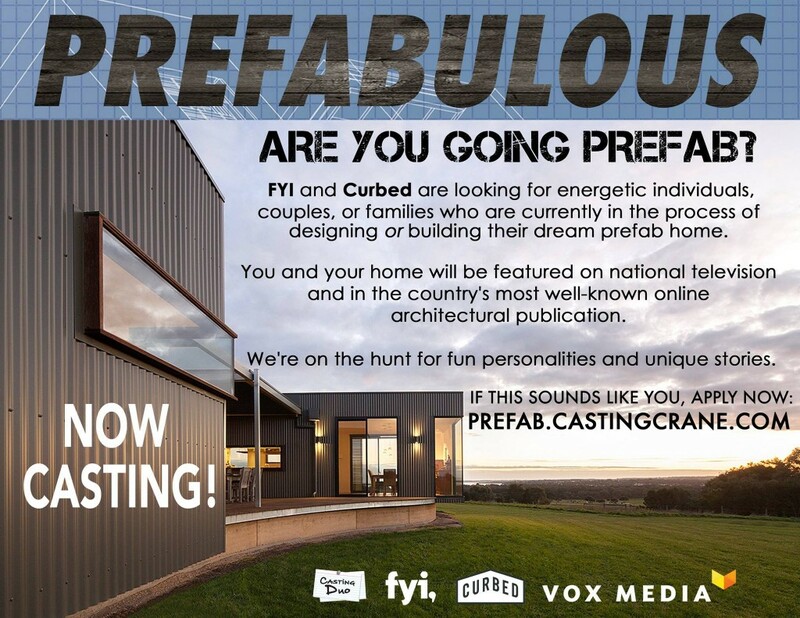 FYI and CURBED are looking for energetic individuals, couples, or families who are currently in the process of designing or building their dream prefab home. You and your home will be featured on national television and in the country’s most well-known online architectural publication. The couple or family chosen will get $3k for being featured on the show. We are also offering a $2k finder’s fee, so if you know of someone going prefab, please send us your referral along with your own information.